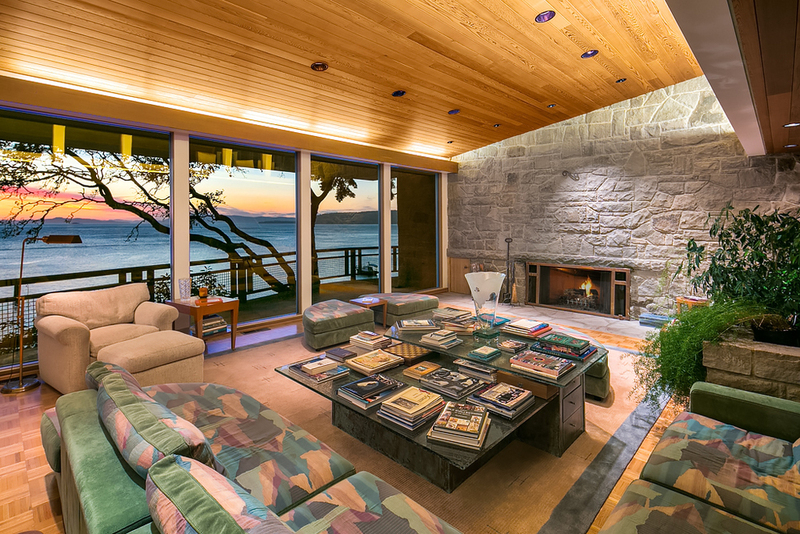 Nestled On Orcas Island Waterfront, with Spectacular Views, 118 Pacific Northwest Acres, a Private Cove & Golf Course: this is Cormorant Bay Estate. Once in a lifetime, a rare and spectacular opportunity presents itself. 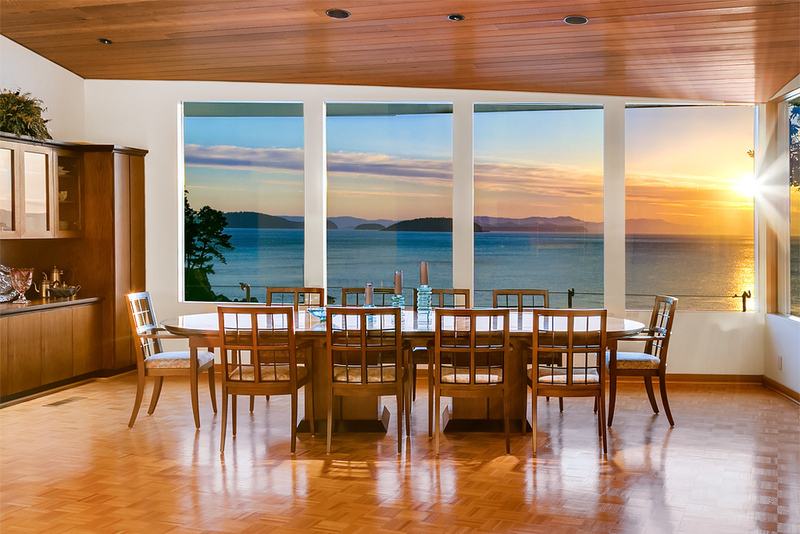 An irreplaceable estate of unsurpassed Northwest beauty nestled in the breathtaking San Juan Islands just north of Seattle. An easy 30 minute commute by seaplane or daily commercial flights. A five minute drive to Deer Harbor and fifteen minutes to Eastsound. Featuring the main estate residence and a "petite" guest home, both sited literally on the water's edge with sandy beach and cove. 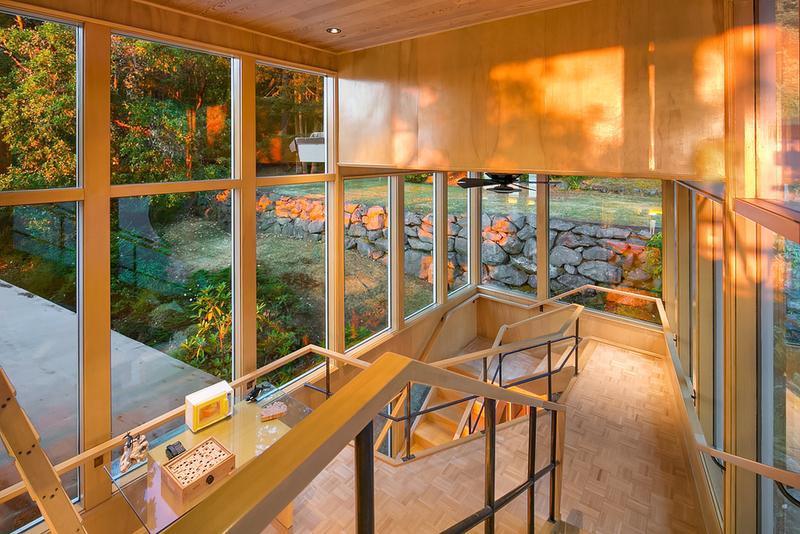 Offering over 10,000+ square feet of living with 7 bedrooms and 4 bathroom, the main home is constructed of reinforced concrete and exotic hardwoods, heavily influenced by Frank Lloyd Wright. 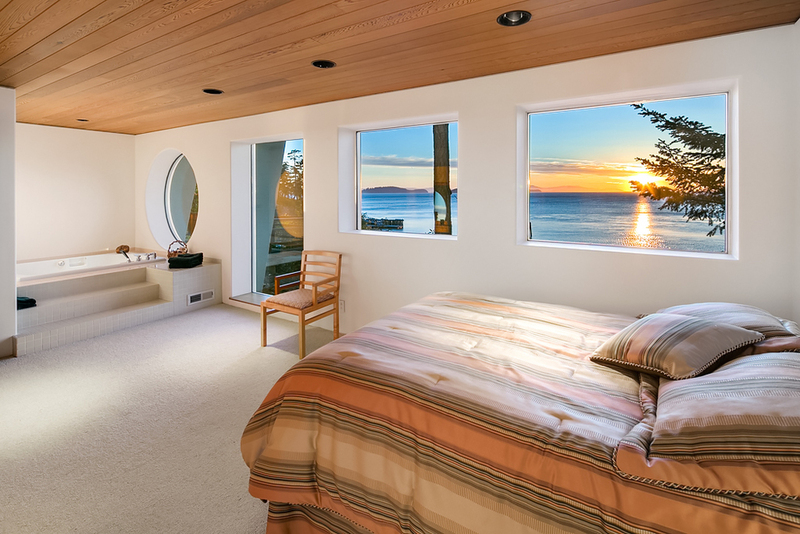 Every window and every room showcase stunning westward facing vistas with unimaginable sunsets. 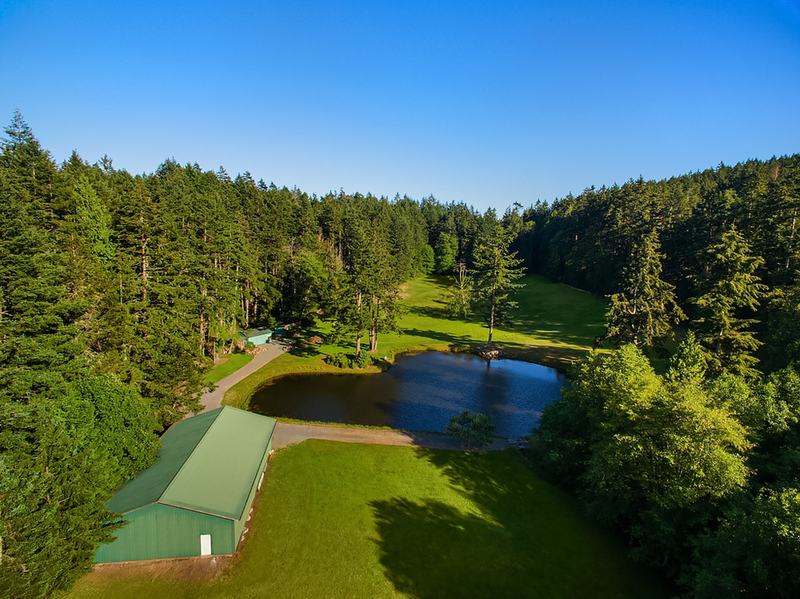 Offering 118 acres of heavily wooded fir, uplands, lowlands and meandering trails along 2,300 feet at the ocean's edge - even a "secret beach." The home is designed for grand entertaining with a massive docking system and deep water moorage accommodating serious yachting enthusiasts. The primary beach and cove is even grandfathered ‘private' with high-low water rights. The estate also features a custom designed, private, nine hole golf course; this is Pacific Northwest luxury on a grand scale. Orcas Island offers a four-season island lifestyle with a robust cultural scene. A charming village life with a hardware store, numerous artisanal purveyors, boutiques, galleries, and even organic grocers. Any necessary medical facilities are available along with residential conveniences for comfortable and engaged year-round living. The island’s gorgeous surroundings and idyllic lifestyle make it a magnet for people of great talent and accomplishment. As a result, Orcas Island features an unusually diverse and active community encompassing all lifestyles. 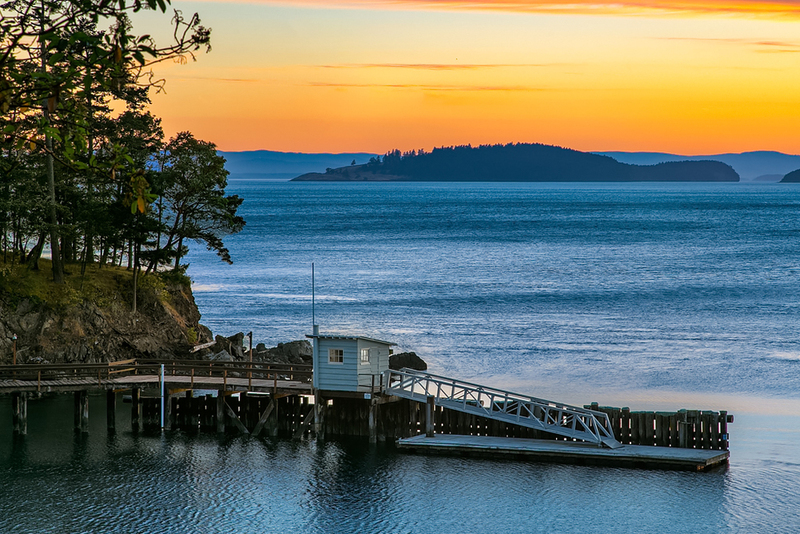 Orcas Island is a profoundly laid back, comfortable and safe community surrounded by the charms that only a small town atmosphere can provide. It is a popular natural getaway and home base for many notable and famous individuals, as its unique setting provides an enviable level of privacy and a "live-and-let-live" culture. An island of great cultural resources, renowned schools and friendly people - only a thirty minute flight from Seattle. The estate also features a custom designed, private smaller nine hole golf course - a place to get away from stress or the big city, to relax and refocus or simply to have fun. You can tee off to gorgeous Pacific Northwest views of Cormorant Bay and the Olympic Mountains. If you'd like to schedule your private tour of Cormorant Bay Estate, contact Peter Phillips today.